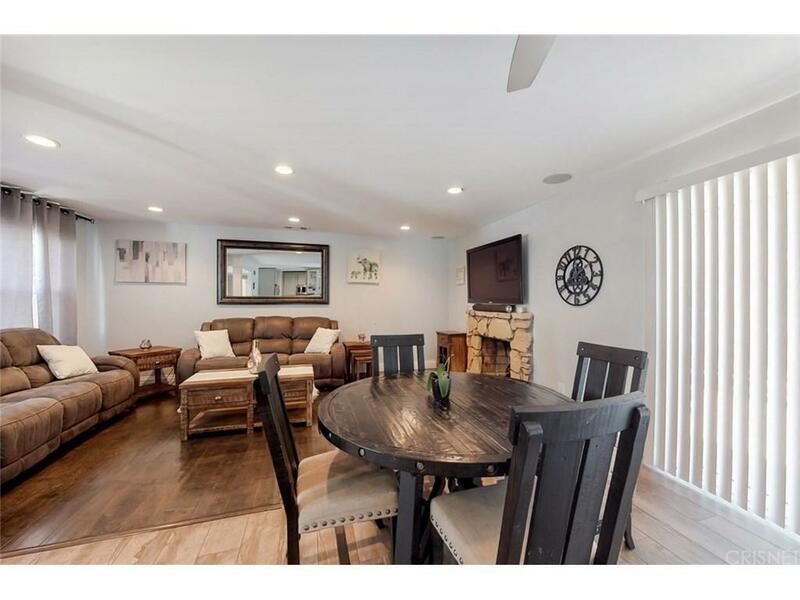 Welcome to this totally REMODELED and ready to MOVE IN three bdr/two bath single family residence, located in a quiet and highly desirable neighborhood of WEST HILLS. Entering through front custom made door you will find a bright and flowing floor plan with inviting living room, which has a cozy fireplace and a dining area.Home features NEW flooring, smooth ceilings, NEW dual pane high-energy efficiency windows, recessed lighting throughout the house, and a NEWER central a/c unit for the entire house with ECOBEE Thermostat.REMODELED kitchen has newer cabinets, stunning granite counters, washer/dryer hook-ups and large breakfast counter.All the bathrooms have been also UPGRADED with NEW vanities and countertops. Master bathroom has oversized walk-in shower, rainforest showerhead, and a glass sink vanity.Spacious master suite has a large closet with shelving units, and French doors leading to the oasis in the backyard for your retreat.Sparkling pool with easy removable safety fence, fountain, palms and privacy are perfect for relaxing or entertaining. 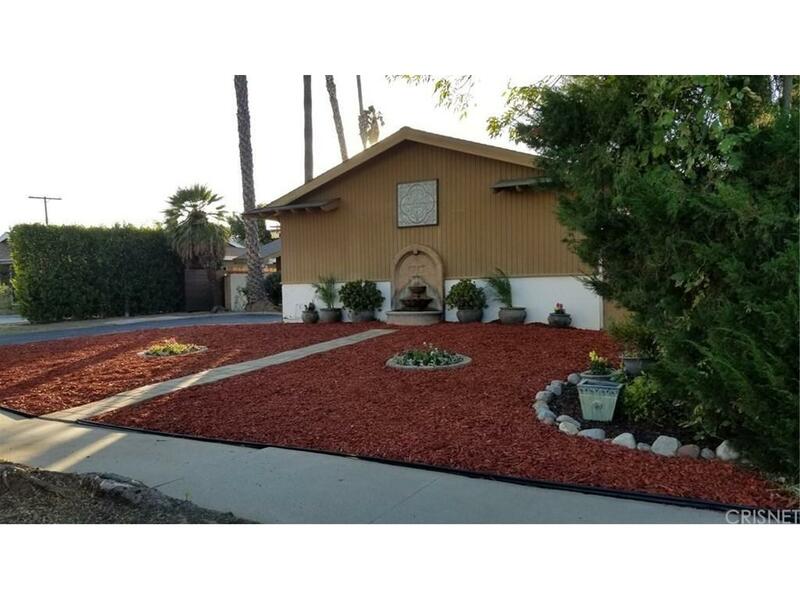 Nice curb appeal with recently updated front yard landscaping.There are many more beautiful features to this home that you will have to visit to appreciate. 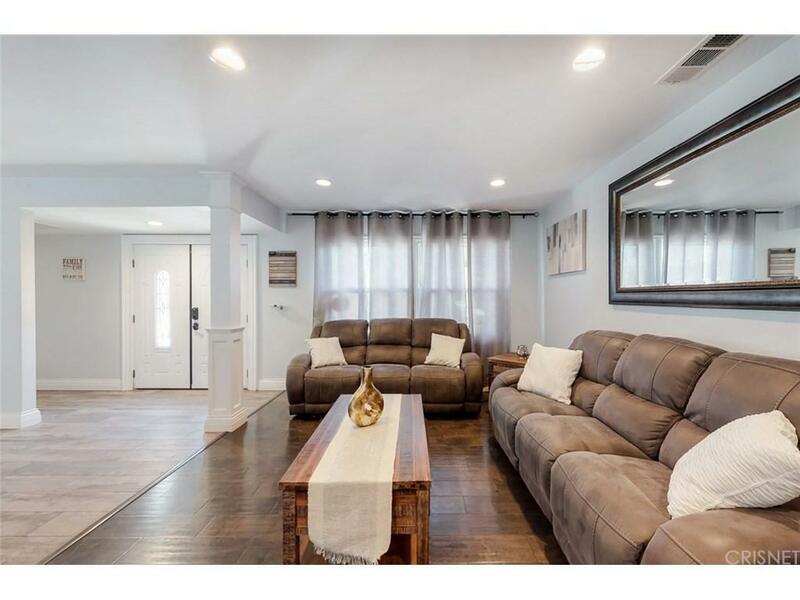 Don't miss this TURN-KEY ready home! 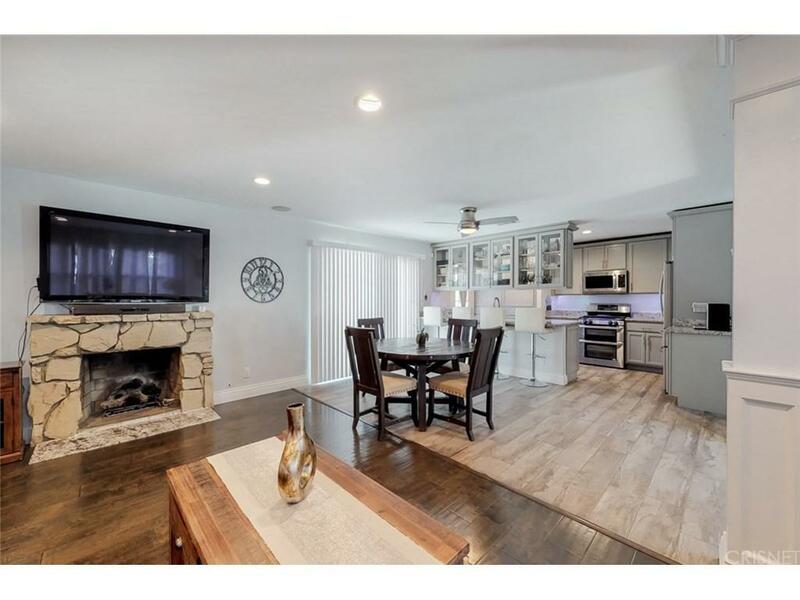 Sold by Dana Pope BRE#01879324 of Re/Max Of Valencia.